Perhaps conserving energy is important to you. You’ve switched out all of your incandescent light bulbs with LEDs. You keep your thermostat set at 78 in the summer. You might even get mad at your kids when they leave a light on. Your neighbor, on the other hand, isn’t quite as concerned. He keeps the thermostat set consistently at 68 and he hasn’t replaced any of his light bulbs because, in his words, who wants to pay $10 for a new one? Even though you do a lot to conserve energy, every other Tuesday you host book club. So, you crank up the air conditioning, put some cookies in your electric oven, turn on all the lights and use several appliances at once as you get ready. Still, over the course of one month, you use fewer total kilowatt hours than that guy next door. Today, that means you pay a smaller electric bill than your neighbor. In the future, maybe not. Some utility companies want to begin billing you not just for how much you use in a month, but also for your highest peaks (like the ones you hit during book club). 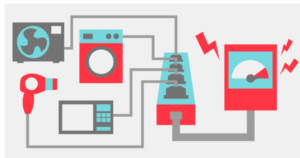 That charge is known as a demand fee — named for the most demand you’d put on the power system at any given moment. In its latest request to state regulators, Westar Energy is seeking permission to add the charge to residential rates. The program would be optional, but if it accomplishes the company’s goals it would likely become mandatory. Westar says it needs the new fee to help recover the costs of keeping enough power plants available to promise reliable electricity to all of its users. “A demand charge … recognizes the fact that a smaller load is less expensive to serve than the bigger load,” said Ahmad Faruqui, an economist at the Brattle Group. He provided Westar with testimony for its rate case. Faruqui says the traditional two-part rate — service and volume — on current bills doesn’t let customers know that their high demand increases costs for Westar. That’s because Westar has to produce enough electricity at any particular moment to meet the needs of all of its users. As that total demand increases, so does the number of power plants Westar has to start up. In the new rate, Westar would still bill you for a service and volume fee. But it would then add the demand fee based on your highest average hourly demand that occurs between 2 p.m. and 7 p.m. That’s when Westar typically sees the highest demand on the system. “What we’re trying to do is incentivize the right behaviors to make sure we don’t get to the point where we have to add additional generation to the mix,” Westar Vice President of Regulatory Affairs Jeff Martin said. Nationally, about 50 other utility companies have imposed some kind of residential demand pricing. Only six small companies have made the fee mandatory for all of their customers. Westar says the demand rate was designed to save enough customers money that they’d be willing to sign up for the change. The savings would come from cutting the volume charge by a little more than a cent per kilowatt hour. 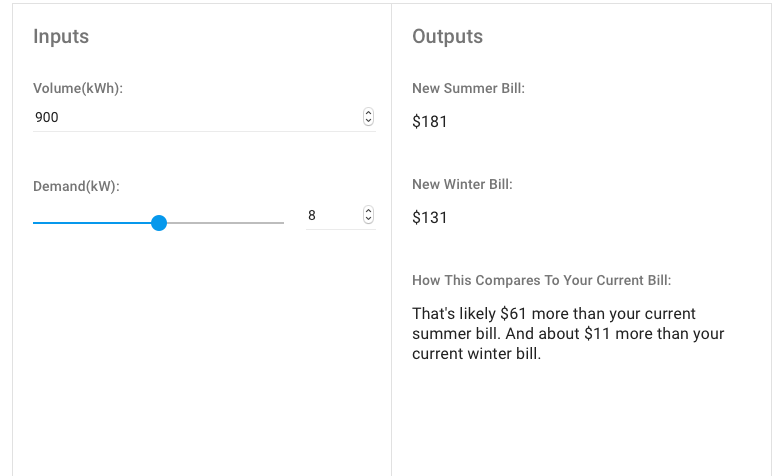 But a Kansas News Service analysis of the proposed rates shows switching would cost the average customer $10 more per month in the winter and about $60 more per month in the summer. “If your goal is to stick it to people with intermittent usage, a demand charge is a terrific way to do that,” said Jim Lazar, a senior advisor with the Regulatory Assistance Project, which advocates for energy efficiency. Lazar has been researching utility rate design for almost 40 years. He argues few consumers will understand the change. And if they don’t understand what’s happening, they’re unlikely to cut back their peak usage. That’s because you’d pay the same demand fee for a peak that lasts one hour, or three hours, or 30. The demand charge is set by that high point. This problem is amplified even more for people who use less electricity. Their bills might currently total only $50 or $60, and without doing anything, a demand charge would add another $30. “High demand charges are just grotesquely unfair to people who live in apartments and those happen to be, generally, lower-income people who can least afford it,” he said. For now, the three-part rate is just a proposal. It’s a portion of Westar’s larger rate case before the Kansas Corporation Commission. If approved, Martin said, the optional rate will be used as as a test to see if it should eventually become mandatory. The first public hearing for the rate case will be May 22 in Topeka. State regulators are expected to make a decision on the case by the end of September. With the calculator below, you’ll be able to find out how Westar’s proposed demand rate could impact you. 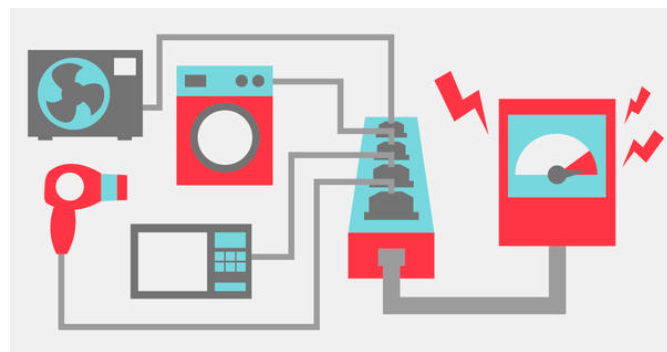 Using numbers from a current or previous bill, enter how much electricity you use (volume). Then move the slider to how much demand you need. A residential user can typically expect a demand of 6 to 10 kW. Westar customers can also log into their account online to find out their exact volume and demand numbers. The calculator is meant as an approximation. For simplicity, it rounds to the nearest dollar. It also only includes Westar’s charges and not any municipal or sales taxes. For this reason, it may not match up exactly to the amount you paid on your bill. The formulas used were created using information from Westar’s publicly available rates and testimony filed with the Kansas Corporation Commission. The demand calculator was created by the Kansas News Service’s Stephan Bisaha and can be found on github. Brian Grimmett reports on the environment and energy for the Kansas News Service. Follow him on Twitter @briangrimmett.